This is the third official studio album of Esbjörn Svensson Trio and it was released in 1997. It was awarded by Swedish Grammy in 1997 as Best Jazz Album. Additionally Esbjörn Svensson won the Best Composer award in same year among many pop musicians. E.S.T. became well known around Scandinavian Jazz Scene by this album and the previously released E.S.T. Plays Monk, 1996. There is a certain melancholy in the album consistent with the name. Especially the Semblance Suit is giving clues about what the trio was planning for the future at those times. I have listened to this fabulous series several times over and over. In these early albums we see the great virtuosity of Esbjörn very clearly. The pieces are generally near to the mainstream jazz although they have a certain Nordic sound. The record was made by Johan Ekelund and Ake Linton at EMI studios in August 20-22, 1997. The mixing was made by Johan Ekelund and Bernard Löhr at Little Big Room in October 6-8, 1997. The mastering was made by Johan Ekelund again. The album was released by Superstudio Gul first and reissued by the label is ACT. Calling Home: A melodic entrance is repeated twice and following the introduction, we listen to a great dialogue between the bass and the piano. After that, the trio improvisation is begun. In this piece, I liked the soft tone of Dan Berglund very much. Magnus Öström is as fast as lightning and it controls the tension with sudden attacks. Esjbörn is just perfect. I can see his face while listening to piano partitions and I feel like him touching to the keys. He is certainly a great pianist. In the end, the entrance is repeated again and the dialogue is once more made between the bass and the piano, this time more melancholic and mostly spoken by the bass. 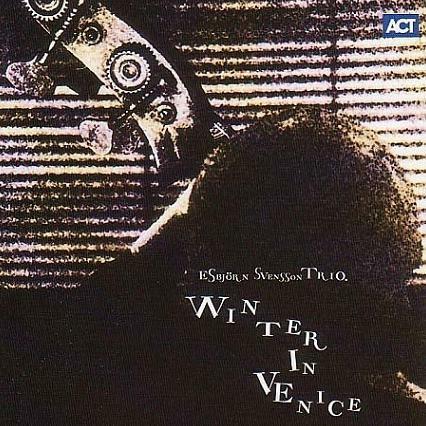 Winter in Venice: A long and beautiful piano solo gives the feeling of winter thanks to the crystal-like touches of Esbjörn Svensson. Drum and bass enter the scene after this solo. Magnus Öström uses brushes and Dan Berglund accompanies Esbjörn Svensson with a very deep and slow bass (resembling almost to Charlie Haden). At the last part, Esbjörn sometimes holds the piano from its strings to produce a short and inanimate sound. At Saturday: Deep and fast bass is followed by the others in this melancholic song. The main theme is heard between improvisations. The tension is nearly unstable. It is hard to follow when it will become high or low. Semblance Part I: As can be understood from the name, this piece is the first of a series of four pieces. It has normally an introducing character. It is melancholic and sometimes depressive. Dan Berglund has performed a great solo in this piece. Magnus Öström is generally on the cymbals. We feel a little hope with the piano of Esbjörn Svensson through the end. Semblance Part II: The creativity of Esbjörn on the piano is amazing. I am really on my knees while listening to this piece. Please give your attention to the part just after the entrance. What a great bass tone. A beautiful touch to the inside of the piano creates a naive sound and become so harmonious with the bass and drum. Magnus acts like a percussionist more than a drummer in this piece. Semblance Part III: Very dark three notes from the piano welcome us and different configurations of these triplets continue throughout the song. Dan Berglund starts to play the double-bass by the bow in the middle just like he is explaining a dramatic story. The piece ends with gradually decreasing piano touches. Semblance Part IV: The last of the Semblances starts with the piano accompanied by the double bass. Then the piano took the main theme. Magnus Öström is generally on the background. After the first half, the piano and the drum start to improvise, but in a very soft and controlled manner. Don't Cuddle That Crazy Cat: This piece started just like a mainstream trio jazz song. The symmetricity between the musicians is given up from time to time and an asymmetric accompaniment is achieved. Damned Back Blues: Another mainstream jazz performance (including a very deep blues taste) is well matched with the end of the previous track. I think E.S.T. shows us their power in standard modal arrangements within these songs. The partitions of Magnus Öström are worth to be given attention. His control and speed over cymbals are perfect. In The Fall of Things: A crystal clear and soft piano entrance is accompanied by a (probably played by hand) snare. The bass is generally on the background but also play the main theme from time to time. The softness of the song is not destroyed even in the improvisational part. 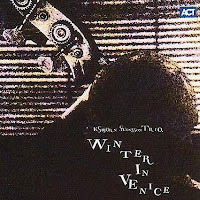 As The Crow Flies: I feel the winter, the snow and the cold while listening to the piano entrance. Magnus Öström again uses mainly the cymbals. Dan Berglund, although he seems to be following a walking line, changes the register from time to time. His solo partition includes both deep bass and treble registers at the same time. Magnus Öström is very good at connecting different partitions of the piano and bass with his solo contributions. The entrance theme is repeated at the end. The Second page: This piece is dedicated to Bob Dylan whose name is derived from his My Back Pages song. The introduction is made by a melodic and deep bass (resembling to what we hear from Lars Danielsson). The main theme given by double-bass is improved by the piano. Consistently, Magnus Öström uses brushes on the drum set. You will feel the winter again. Hercules Jonssons Lat: A hopeful end to the album is heard from the piano of Esbjörn Svensson and accompaniments are consistently naive and touching.